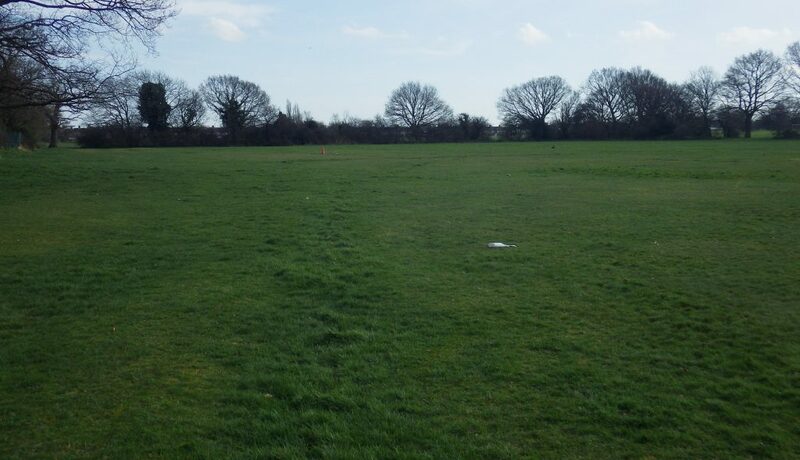 In 2014, Firs Farm open space, bordering the A10 in Enfield, was a public space that was seldom used. Saturday football matches took place but no one knew that a forgotten river continued to flow hidden under the grass at the northern end of the park. The Moore Brook was discovered during a local flood risk investigation by Enfield Council’s watercourse and drainage team. This was the point when the path of the Moore Brook began its journey back to the sunlight. 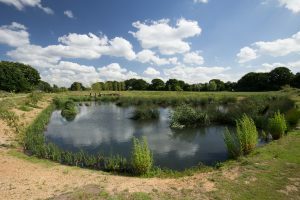 A project involving Thames21, Enfield Council and many other partners has now transformed an area of Firs Farm Playing Fields from an underused open space into one that enriches the site for people and wildlife, prevents properties from flooding and delivers a dramatic improvement in water quality. The area is now a combined wetland and flood storage area that reduces the impact of surface water flooding and diffuses urban pollution across a wide urban area. 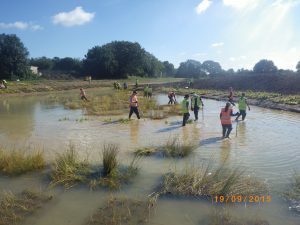 The project, which also restored 500m of the Moore Brook, diverted surface water run-off through a series of integrated wetland cells that flow out to an open watercourse before re-entering the underground drainage system. 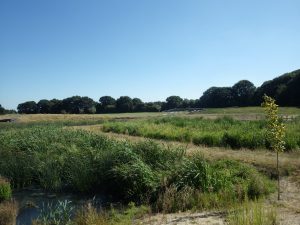 Firs Farm wetlands now stores 30,000m3 of flood water, helping to protect more than 100 properties from flooding, as well as the A10 Great Cambridge Road. Apart from the wetland transformation, amenities include a cycleway and network of footpaths, an outdoor classroom, dipping platform, an open bird hide, broadwalks, stepping stones and several seating areas have been created for the public to enjoy. A “Friends of the Firs Farm” group formed around the project and these volunteers have been involved every step of the way. This includes assisting in vegetation planting, woodland path networks building, litter picking, a tree adoption scheme, and a community festival that was attended by more than 2,000 people. The scope of the project grew organically, in conversation with local residents including the Friends of Firs Farm who have been vital to the identification, development and delivery of the programme. The Friends of Firs Farm continue to campaign to improve the park. They are currently crowdfunding to build a new hub and café to support the local community and compliment the outdoor education programme by providing a wet weather contingency space. 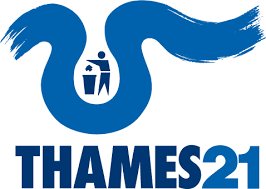 In addition to maintenance, Thames21 has delivered a water quality monitoring programme comparing parameters between the inflow and outfall to the water, which has shown considerable improvements to water quality. Beyond the water quality improvements and the added amenities, there have been noticeable increases in wildlife – particularly bird life. The project has dramatically altered the landscape and the environment of the area. Firs Farm playing fields is a testament to the collaboration between organisations and communities in transforming an unused public space into an amenity that can be enjoyed by both wildlife and people. 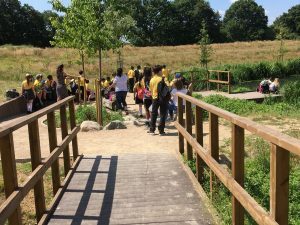 The project has been funded by the Greater London Authorities Big Green Fund 2, the Environment Agency, Thames Water Community Investment Fund and Enfield Council. 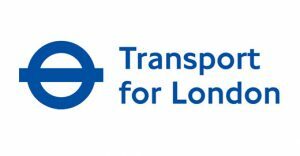 Project partners include Enfield Council, Environment Agency, Thames Water, Transport for London, the Greater London Authority, Thames21, Friends of Firs Farm, Turfdry Ltd, and AH Nicholls.